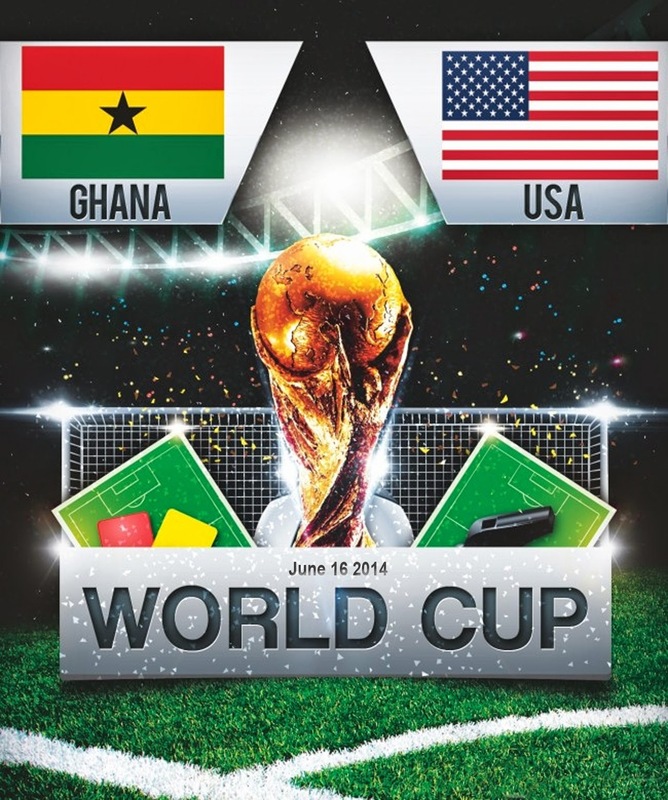 United States will start their world cup campaign in FIFA World Cup 2014 against Ghana in the Group G clash at Estadio das Dunas in Natal on Monday 16 june 2014. United States football team under Coach Jurgen Klinsmann has come along way and he has put his faith in youngsters and left out the likes of London Donovan from the world cup squad. Clint Dempsey will be the key player for USA side along with Aron Johannsson from AZ Alkmaar. The hardest group in the world cup will see USA taking on Ghana in the game which is so crucial for both sides, chances of getting through to the knockout stages. Germany and Portugal are in the same group who will play their game earlier in the day. Ghana is widely considered as the best African side in world cup and they will be looking to repeat the success of 2010 world cup. Ghana might start with more of a 4-3-2-1 formation with Gyan leading the forward line and Anrea Ayew and Majid Waris playing from the attacking roles with Essien, Muntari and Boeteng playing the central midfield roles. USA on the other hand will start with Dempsey and Altidore upfront while Beckerman, Bradley, Jones and Bedoya should start in midfield. 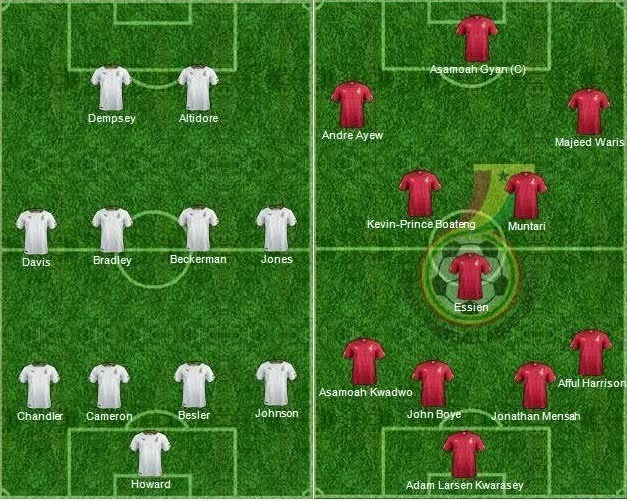 Below is the possible predicted lineup of both sides.